Remodeled 3 bedroom, 2 bath ranch style home in Simpsonville w/ a walkout basement. This home features: GRANITE COUNTERTOP; NEW CARPET, LAMINATE FLOORING, APPLIANCES, FRESHLY PAINTED THROUGHOUT; CERAMIC TILE, and much more. With an unfinished basement and a large 2-car garage, this home includes a patio and wooden deck. 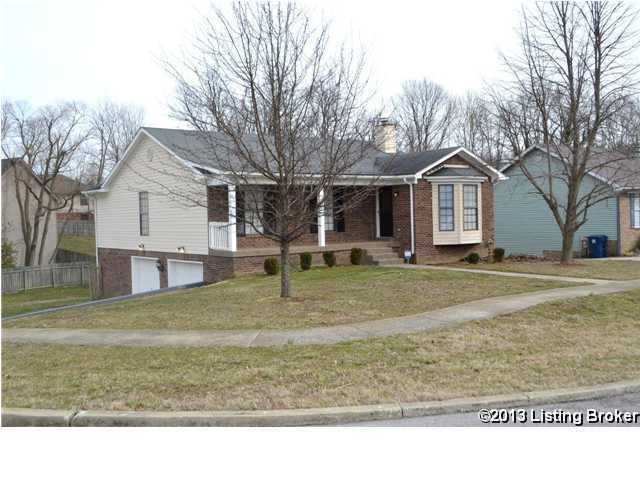 Don't miss out on an opportunity to own a ''like-new'' home in Simpsonville, KY. Direction: I-64 to Simpsonville Exit; North onto Veechdale Road; Rolling Ridge Sub on your left before you get to US 60; property is on your right at the corner of Cedar Court and Rolling Ridge Way. NOW SELL IT! Rolling Ridge is a subdivision within the city of Simpsonville, Kentucky. There are currently 1 Homes for Sale within Rolling Ridge, with asking prices ranging from $414,000 to $414,000. The average list price per square foot of the available inventory in Rolling Ridge is $52,471, which is above the Simpsonville average of $275. The Average Sales price of all sold real estate in this subdivision for the past year is $180,625. Recent comparable homes have been selling for 98.33% of their asking price. Waterfront homes represent 0.00% of the available Rolling Ridge inventory. The population of Simpsonville, according to the 2010 Census, is 2,484. The total number of households in the zip code of Rolling Ridge is 1,833, with an average household size for of 2.59 people. The total number of renter households within the zip code of 40067 is 333, which means that 81.83% of households in this zipcode are owner occupant households. 235 Rolling Ridge Way, Simpsonville KY 40067 is a Home, with 3 bedrooms which is recently sold, it has 1,430 sqft, X sized lot, and 2 1/2 Car Garage parking. A comparable Other, has bedrooms and 0 baths, it was built in and is located at and for sale by its owner at $ 0. This home is located in the city of , in zip code , this County Other, it is in the Subdivision, and Rolling Ridge are nearby neighborhoods.